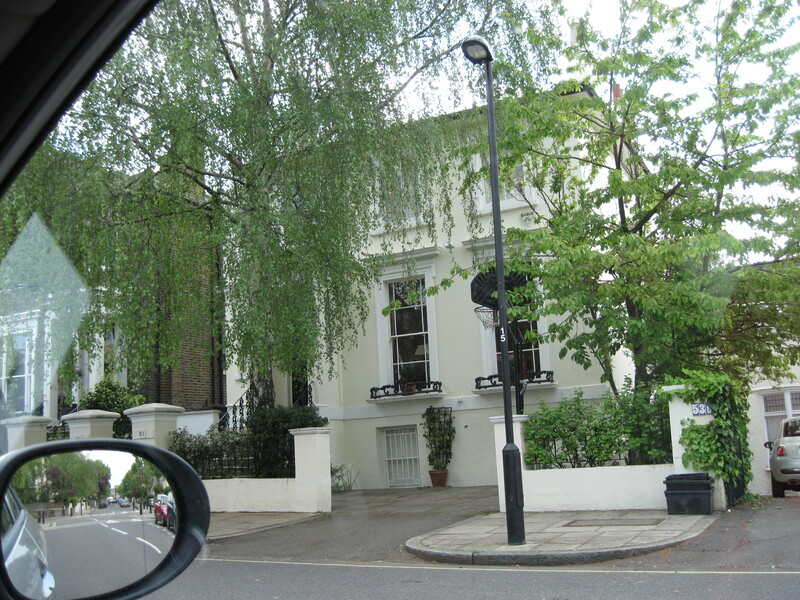 St John’s Wood is unusual in that it has remained a prosperous area for nearly 200 years. Most places become popular, go out of fashion for a couple of generations, and then become popular again, but this did not seem to happen in St John’s Wood. 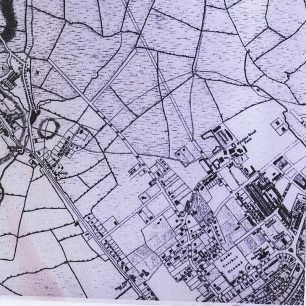 However, it was not always the established area that we would recognise. 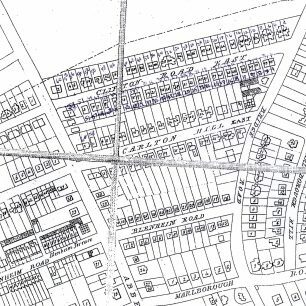 In the 1827 map of the district, development had hardly begun north of Circus Road and there were still fields where Clifton Road East (the original name of Clifton Hill) would appear. 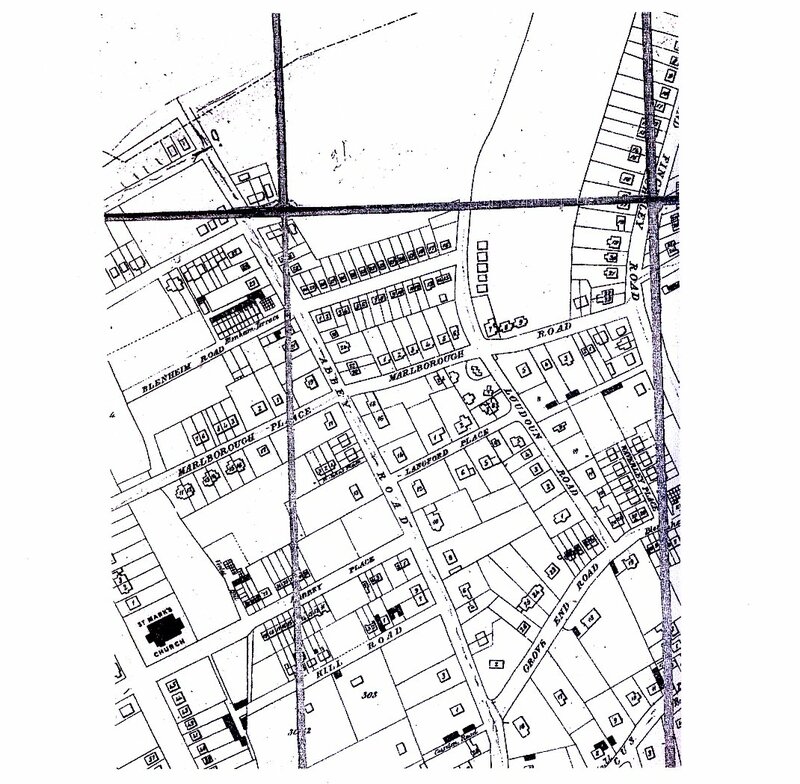 Clifton Hill does not feature in the 1846 map of the area, though Blenheim Road has put in an appearance, nor is it mentioned in the 1851 Census. 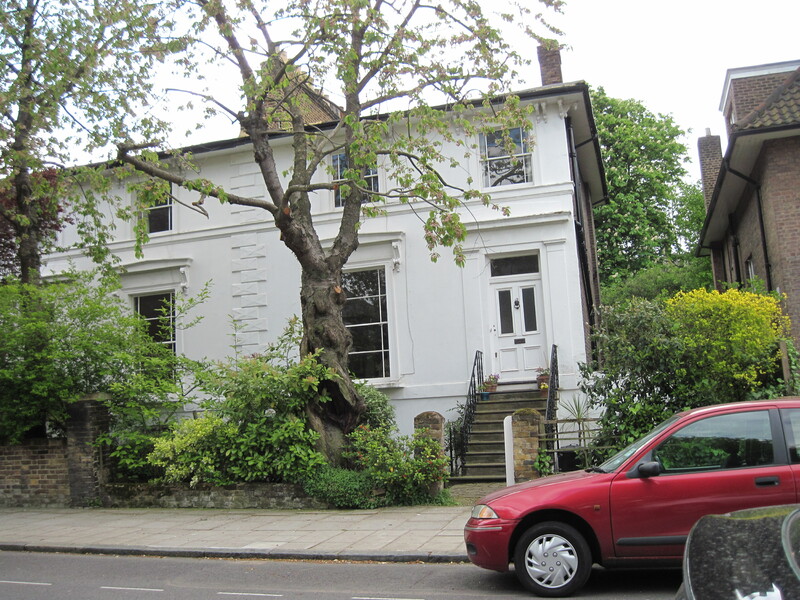 In 1846, the houses in Clifton Road had started to be built on the other side of Abbey Road. 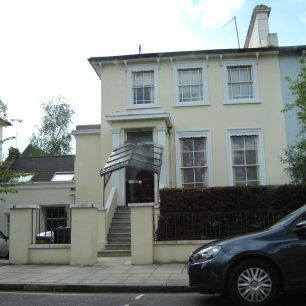 When they neared completion, in 1852, the building of houses in Clifton Road East began at the junction with Abbey Road. By the end of 1853, thirteen houses had been built: eight on the north side, five on the south, whilst three further houses were under construction. Building progressed on eight further houses, in 1854, and construction reached its height during 1855, when several houses on the north side were completed and fifteen houses were built on the south. 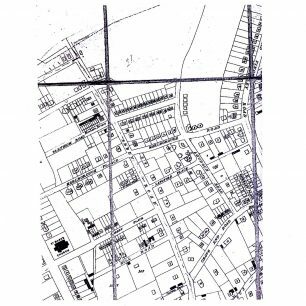 This must have caused much disruption to the occupiers of the twenty five completed houses. By the end of 1856, most building work had come to an end, though several houses remained untenanted. However, by 1858, almost every house was occupied. 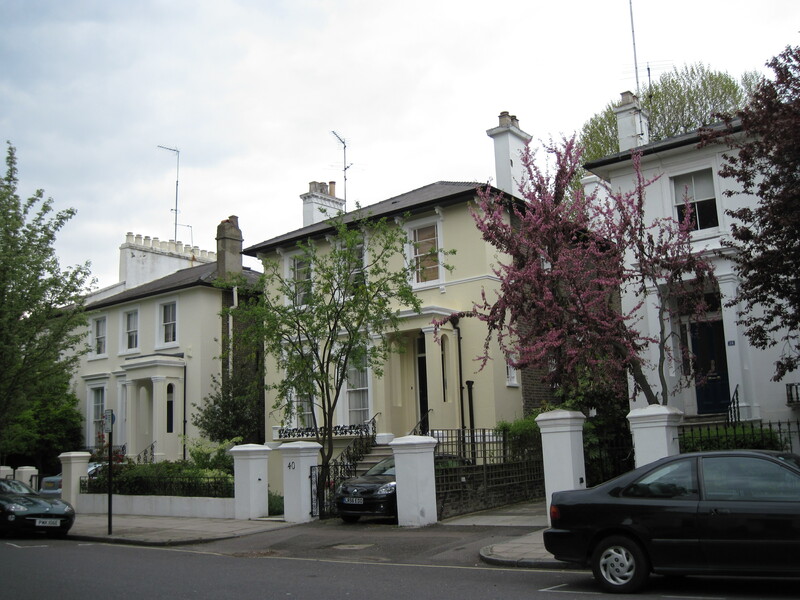 St John’s Wood was a forest of villas of nearly all sorts and sizes. 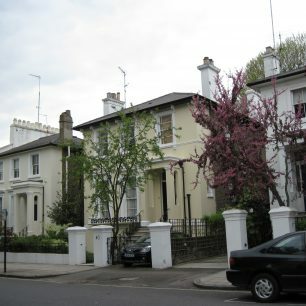 Villas gave a varied skyline and were more individual than Georgian terraces, but the picturesque modes of 1820’s and 30’s were corrupted and standardised by the builders of 1840’s and 1850’s. 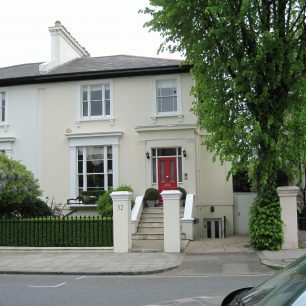 Clifton Hill had 46 semi-detached villas and 11 detached ones, all with two storeys, plus basement, and either two or three windows wide. 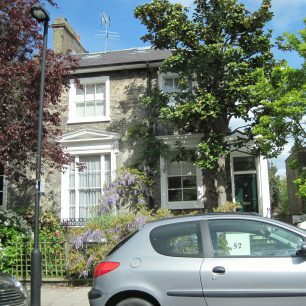 Mainly stucco, (which Victorian builders used as enthusiastically as Regency builders had done)  an occasional one was of grey brick, and all had slate roofs. 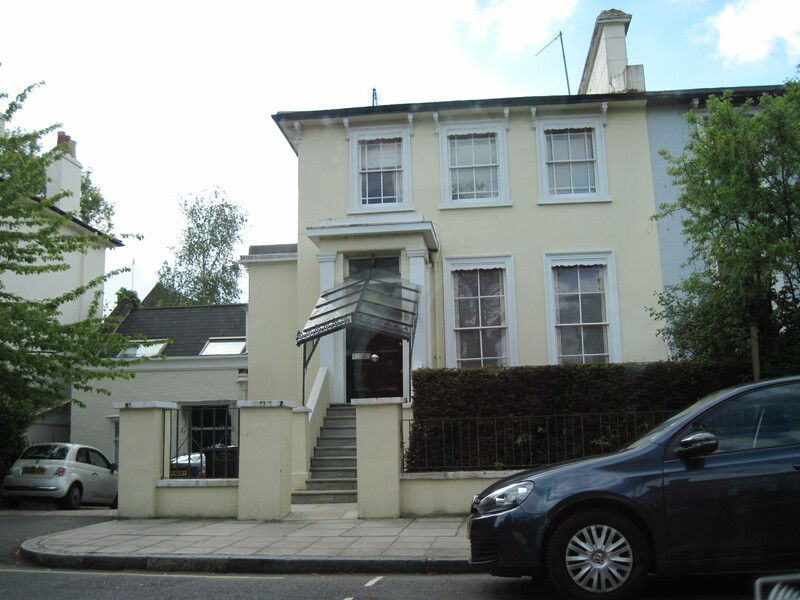 There were differences in their porches, some had cast iron balconies on the ground floor and a cast iron balustrade to the stairs to the front door, and all with architraved sash windows, cornices to the ground floor. 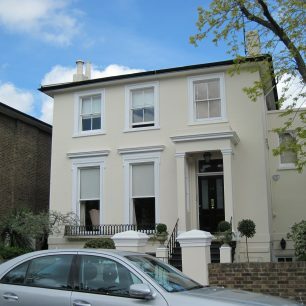 Inside were either two equal sized reception rooms plus a smaller room on the ground floor, or a double aspect reception room and a smaller room, a basement divided into various service rooms and upstairs, two bedrooms and two dressing rooms. In the original leases, houses had to have boundaries of 6ft brick walls with a dwarf wall, stone coping and iron railings in front. Those with leases had to pay a proportion of lighting, paving and footpath costs, insure against fire and could not build any additional buildings or make alterations without permission of the landlord. They must not ‘suffer any part to be occupied by any washer woman or laundress or be used as a tavern, public house, tea drinking house or for the sale of wine or to be used as a receptacle for lunatics.’. It was lawful for the landlord twice a year to enter the premises to see the condition of repair and the house could be repossessed if the rent was unpaid 21 days after the due date. Every third year the outside had to be washed and painted with two coats of good oil and white lead in appropriate colours and every 7 years all the inside parts had to be painted and papered. Houses could only be sublet for one year. 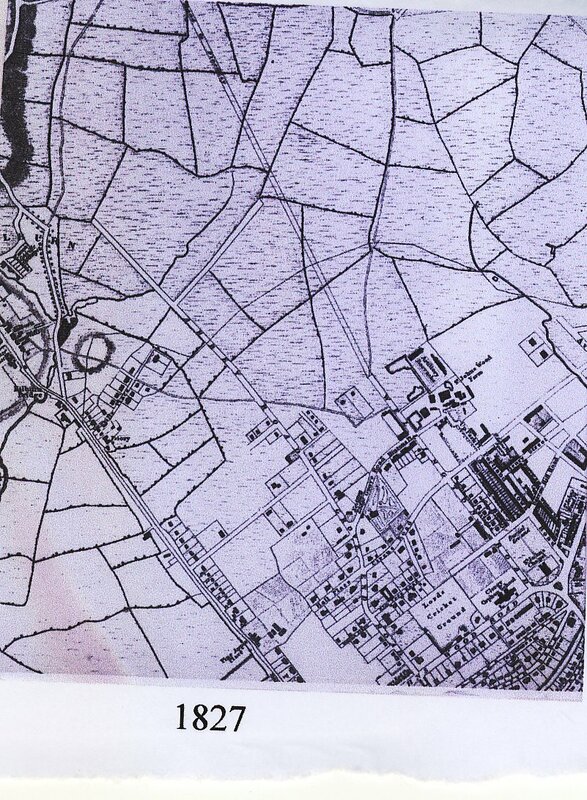 The houses first appearance comes in the rate books of 1859 and they are seen on a 1862 map. 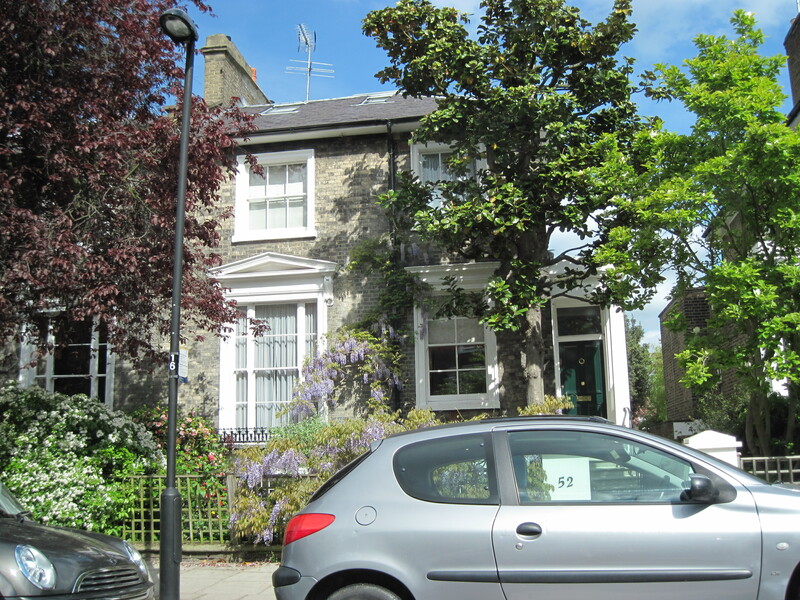 The average rent for a semi-detached house was £56 p.a. (rateable value £50) and for a detached one £67 (rateable value £60). The poor rate was based on the rateable value; if that was £50, £6.50p.a. 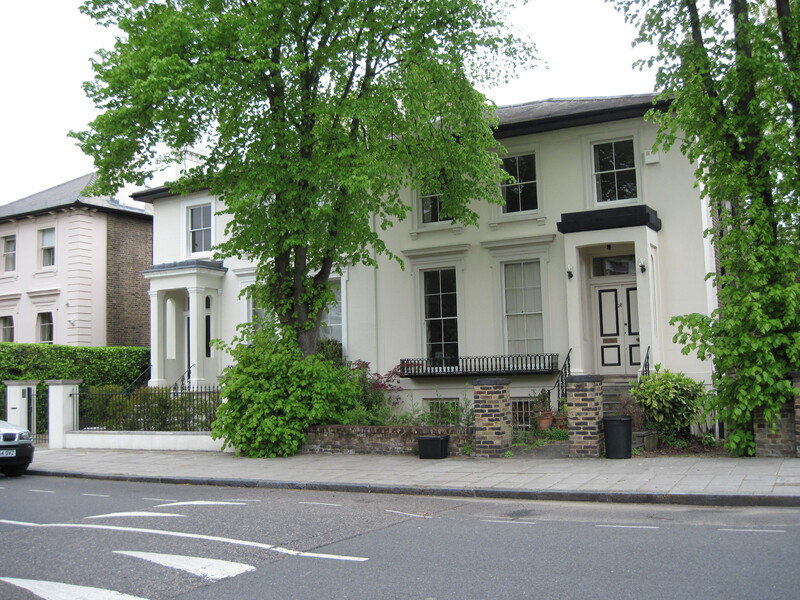 had to be paid for the poor rate.When the Census was taken in 1861, there were 247 people sleeping in the 57 houses north of Abbey Road, rising in 1881 to 295 and falling back to 235 in 1901. 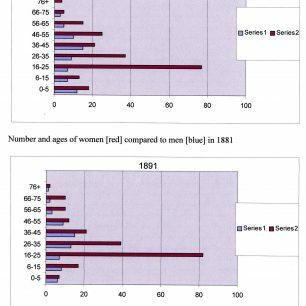 This gives an average of just over 4.5 people per house in 1861, rising to 5.1 in 1881 and down to 4.1 in 1901 – not a large number bearing in mind the size of the houses and the fact that these numbers include the servants who lived there. 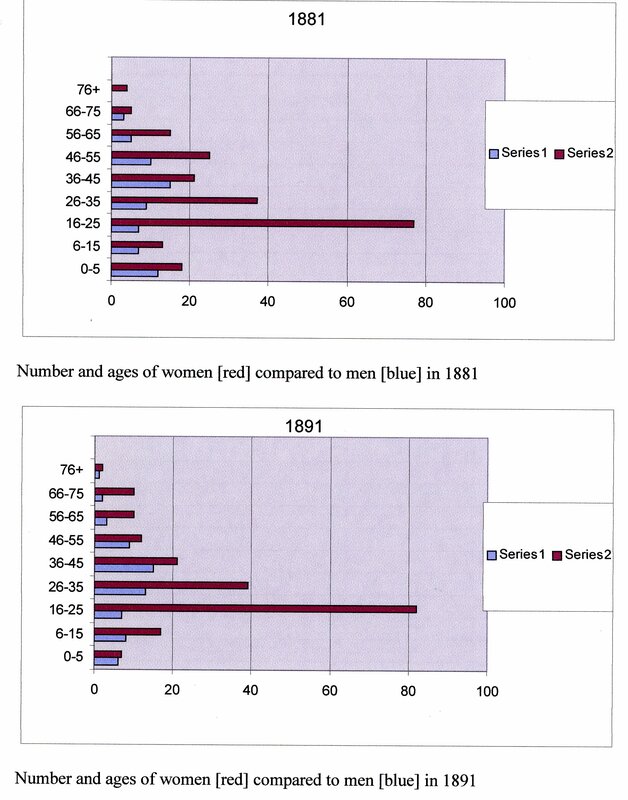 Servant numbers followed the same pattern, with the largest number in 1891 [81, 78, 98, 81, 78]; they roughly averaged one third of the residents each time the census was taken until 1901 when the numbers had reduced to just over a quarter. What sort of income was needed to live there? This can be surmised by the number of servants employed, the occupation of the Head of the house and whether those living on annuities or dividends were likely to have kin or boarders living with them, perhaps to help with expenses. In Booth’s map showing the general condition of the inhabitants, Clifton Hill houses are coloured red, showing they belonged to the well-to-do middle class but not gold, which would have indicated the wealthy upper middle and upper class. 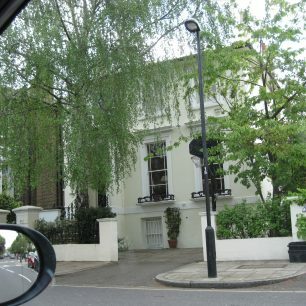 The inspector’s report that goes with the map describes the houses as all detached and semi detached brick and stucco villas, whereas those coloured gold in St John’s Wood Park were described as large detached and semi detached houses with rents running up to £250 a year. 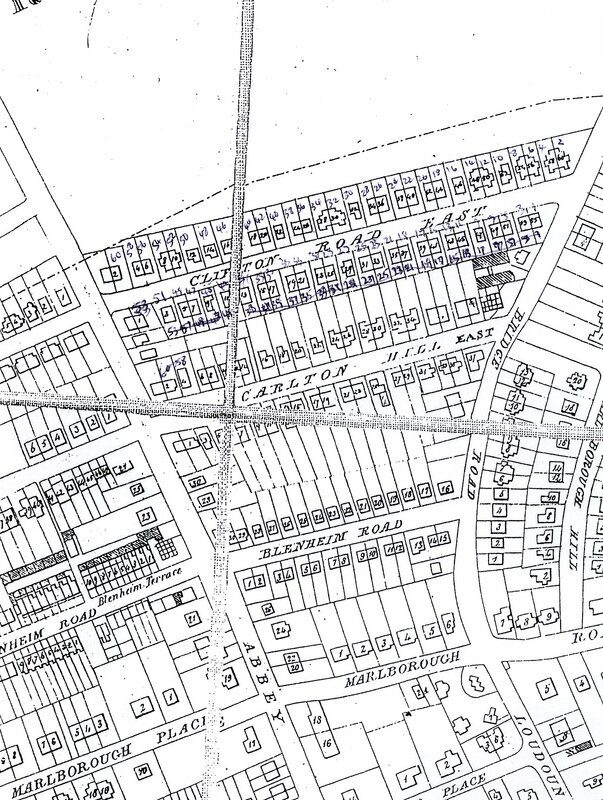 Probably only 10% of the general population owned their home and in Clifton Hill none did, as the houses belonged to the Eyre Estate and were leased. An income of more than £1000 was needed to employ a manservant, who was a prime status symbol, as he made extravagant demands in wages and conditions, and there were no men servants in Clifton Hill during the 5 censuses. In 1844 the usual income for those employing 3 women was £600 – 700, with £400 –600 for those with cook and housemaid, down to £250 – 300 for a maid and a girl and £200 for a maid. Over the 50 years the number of houses which employed 3 servants never rose above 5, while those employing 2 women were 20, 20, 29, 28 and 25. 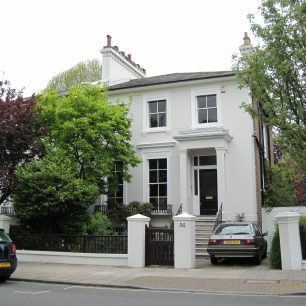 A few houses in each census recorded no servants but this has to include some who may have been on holiday or away with a member of the family, for a maid was a symbol of middle class respectability, apart from her usefulness, and the possession of one divided the middle class from the working class. Also no record exists of daily help – charwomen, boot boys, step women or gardeners who are likely to have been widely employed . Holman Hunt’s painting the Awakening Conscience depicts a kept mistress and her lover in a villa in St Johns Wood; Holman Hunt hired a room at Woodbine Villa, Alpha Place which was a maison de convenance where illicit lovers could met. The young woman’s status as a kept woman is indicated by the fact that she has rings on every finger of her left hand except the wedding finger. She is in what would have been recognised at the time as a state of undress. She has been singing “Oft in the stilly night” which tells of a young woman thinking back to her innocent childhood. Why did anyone want a new home in a new suburb? By the 1850s the home was a place of refuge, away from sordid commerce. This separation of work and home was made possible by the development of public transport, which enabled men to live in the suburbs and work in the city. 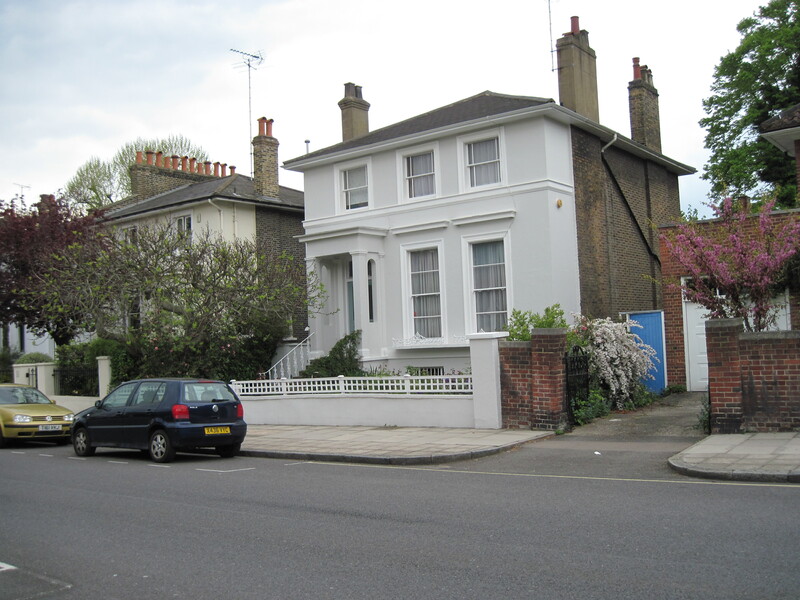 Evangelical fervour felt a harmonious home was the mirror of an ideal society, showing love and charity; a well kept home showed virtue and good housekeeping improved people’s moral behaviour, so work and home were in different places, with desirable houses hidden on quiet streets. 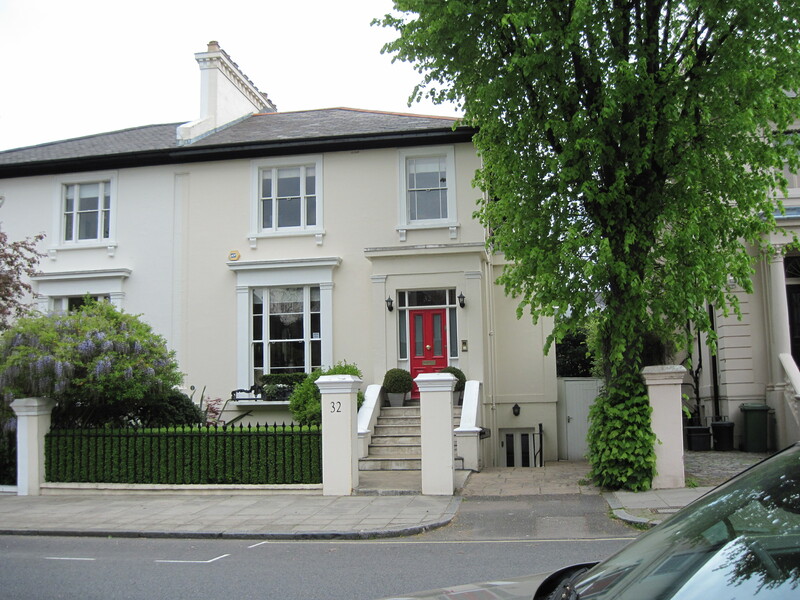 St Johns Wood was notable for detached and semidetached houses, high garden walls and vegetation. The roads were wide, the size of the gardens varied from one-eighth to half an acre and usually had brick walls about 5 foot high round them– this protected the neighbours if any impropriety was going on next door. One of the reasons the area became popular with artists was the seclusion that distinguishes the residences are favourable to the pursuits of art and literature and there is no place where persons are more isolated. 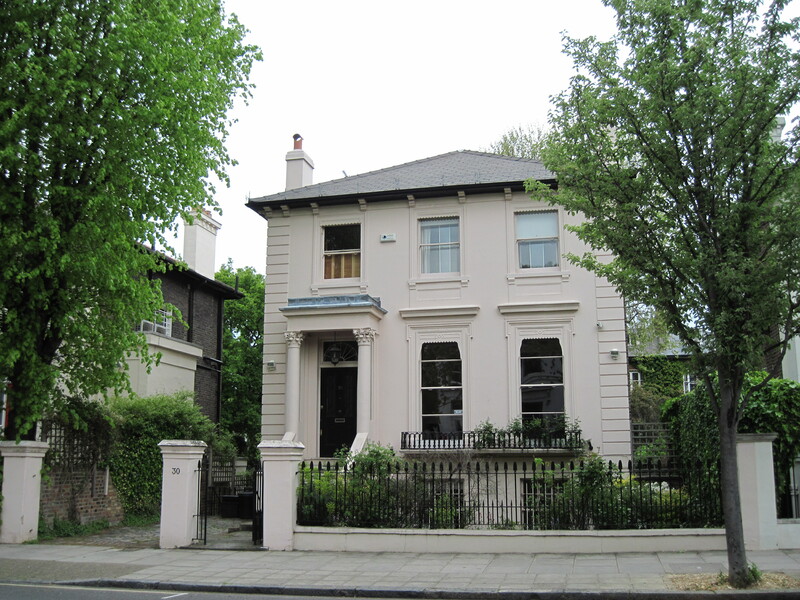 What did the Victorians require inside a house and did Clifton Hill houses meet their needs? 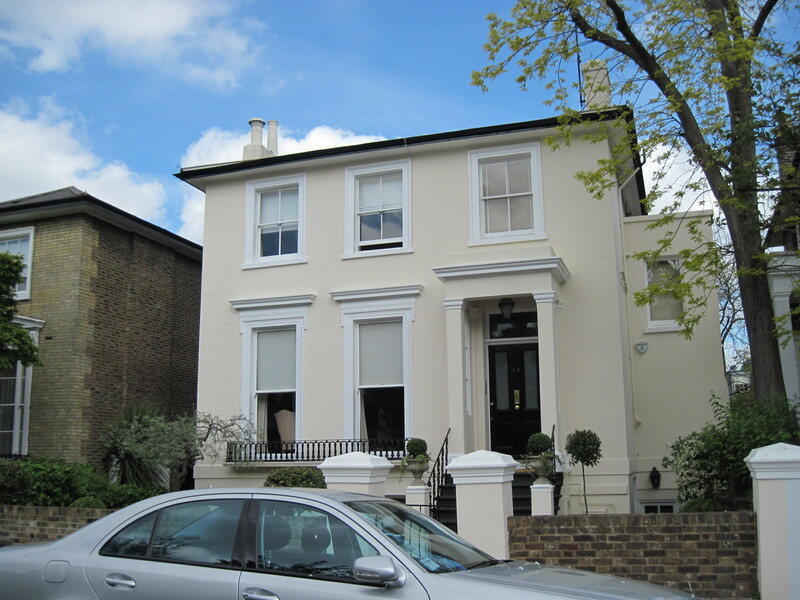 They wanted a house where each function – sleeping, eating, sitting, cooking, – was segregated and where the rooms which visitors would see would be the most impressive, and Clifton Hill houses satisfied these wants. As one of Trollope’s characters said when approaching marriage: A cheap and nasty ménage would be my aversion; it is that I want to avoid. Visitors, having mounted the steps with a cast iron balustrade to the front door under a pilastered porch, would enter a hall and see a staircase sweeping upwards to the bedroom floor and then be received in a large reception room with long windows nearly reaching the ground and showing off the delightful garden, often with a decorative outer staircase down to the garden. Probably more money would be spent furnishing this room than any other in the house; the family room, also on the ground floor, would be next in importance, then the bedrooms, which had little furniture. Bedrooms were for sleeping, not living, in; to combine sleeping and sitting in one room seemed immoral and unwholesome. The clearer we can keep our sleeping places of furniture and hangings, and stuff of all kinds, the better for our health in all ways. Clothes were folded and stored, as hangers had not been invented, and there were no bedside tables. Bedrooms in fact were few; there were initially two, one for the parents and baby, the other for the remaining children, each with a small dressing room. A third bedroom was later made out of the second dressing room when there was a gradual wish for separate bedrooms for children but there was not enough room for anything like a day and night nursery. A washstand and commode might be kept in the dressing room – London houses at the beginning of this era were almost invariably without bathrooms. Space was at a premium in all middle class homes – in The Small House at Alington, the hero Crosbie objected because a closet under the kitchen stairs was assigned to him as a dressing room. There was privacy in the house from outsiders, from servants and even from other family members. Servants were kept away from the family thoroughfare through the house; they lived and slept in the basement, which had its own entrance at the side. 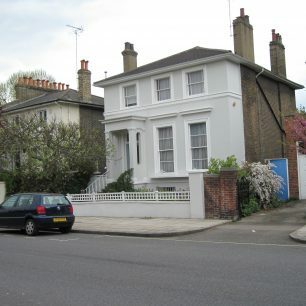 Clifton Hill houses were pleasanter than many London houses as the basement kitchens were not so far down into the ground as houses in Central London – they did get light and air. They were quite spacious too, probably with enough room to have a separate area for cooking, a larder and a scullery, perhaps with running water for food preparation and washing up. There was a coal- hole under the outdoor entrance stairs, which could be filled from above. The kitchen range, which had been invented in 1840, had an oven (with no temperature control) plus a boiler to heat water and with luck by 1860 a hotplate and somewhere to heat a flat iron. It was difficult to keep a larder cool as the range was constantly on for hot water. By mid-century most houses were connected to a water company for about 3s per week, but the supply into the scullery was intermittent. By the 1870s middle class houses had cisterns for storage. Did the road go slightly downhill in the 1880s? 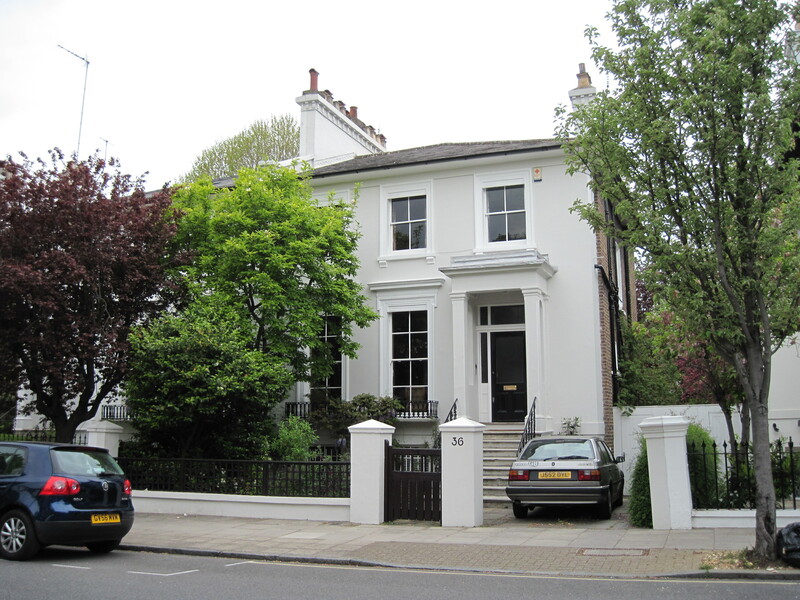 Galsworthy in Man of Property felt St Johns Wood was ‘pokey’, but he was writing from the point of view of a character who lived in vast space and splendour in Stanhope Gate and was visiting a renegade son who earned a living as a water colour artist. 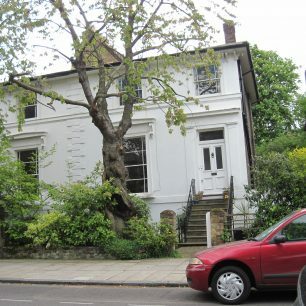 And so that afternoon he [Old Jolyon], took this journey through St John’s Wood, in the golden light that sprinkled the rounded green bushes of the acacias before the little houses, in the summer sunshine that seemed holding a revel over the little gardens; and he looked about him with interest; for this was a district which no Forsyte entered without open disapproval and secret curiosity. And he followed her [the maid], through the dark hall, into a small double drawing room, where the furniture was covered in chintz, and the little maid placed him in a chair. These little houses were all old, second-rate concerns; he should hope the rent was under a hundred a year; it hurt him more than he could have said, to think of a Forsyte, – his own son – living in such a place. — Old Jolyon marched out through the French windows. In descending the steps he noticed they wanted painting. Young Jolyon, his wife, his two children, and his dog Balthasar, were all out there under a pear-tree. 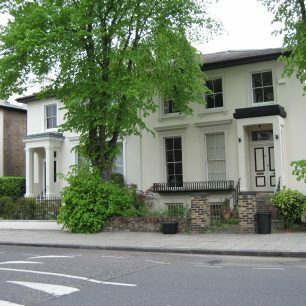 In 1895, it was written ‘Artists no doubt were originally attracted to the district by the quietude and by the shaded and well-timbered gardens with which the district abounds so that it has practically become and is recognised as the Arts Centre of London.’ It probably depends on the position one feels artists take in society whether the area was going up or down. Olsen  felt that the social decline in the 1880s was because the artistic element lessened when the newer parts of the suburb were inhabited mainly by solidly middleclass business men. When trying to visualise life in Clifton Hill one must be aware that the street was busy most of the day. The men who lived there walked to the omnibus or train for work, children walked to school, housemaids posted letters, and mothers walked to the shops but apart from that the houses were visited by the milkman, at least twice a day, perhaps with horse and cart, the postman, probably four times a day, butcher’s boys delivering meat, bakers with bread, fishmongers with fish, grocers and greengrocers with the weekly order, not forgetting the grander West End shops delivering goods or coming to measure for emergency mourning. Doctors visited the sick and newspapers were delivered. As well there might be flower sellers and muffin men, coalmen heaving coal into cellars, people collecting old clothes or metal, and knife grinders and lamplighters. After 1875, refuse collecting became a legal obligation, which added dustmen to the number. So although the residents prized seclusion in their homes, there was plenty of bustle around them. Domestic service was the principal source of employment for women, and girls as young as 13 were living-in servants in Clifton Hill, though by far the largest number were aged 19 – 25. By 1900 there were 1,300,000 female domestic servants in England and Wales and 1 in 3 women had been domestic worker at some time in their lives. There was little work in the countryside for girls and London, with its variety of posts was a major draw. Most female servants did get married, even though “followers” were discouraged, partly because young countrymen found the country denuded of marriageable girls and followed them to London jobs. 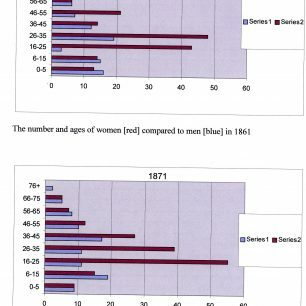 The average age at marriage was 25, which meant they had been in service for about twelve years, and probably had been in three to five situations. A few households were lucky enough to keep their maids for long periods. No 8 and No 44 had the same maids from 1881 – 1901 at least, and Nos 29,30, 46 and 56 had the same ones for two censuses. Towards the 1900’s, there was some attempt to give servants attics to sleep in, rather than the kitchen, and the rooms were gradually improved to make going into service more attractive. Furniture in the kitchen would have consisted of a large central table with ladder- back chairs and a dresser against the wall. Lighting would be candles or oil lamps, even if the house had gas which was usually reserved for ‘Upstairs’. But the basement might be warmer than the family upstairs, where rooms were cold and bedrooms unheated. By 1880’s, servants were given half a day off on Sundays, starting after lunch, and a day off each month, after they had finished their chores. By the 1890’s they received one weeks holiday per year. 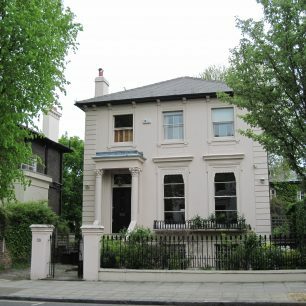 A ‘plain’ cook, who is likely to have been the sort employed in Clifton Hill (as opposed to a ‘professed’ cook in a large establishment who was helped by kitchen maids) had general housekeeping duties, as well as cooking, such as lighting the fires and sweeping the dining room, scouring the kitchen table and mopping the kitchen floor. A housemaid, or, more likely, a ‘general’ maid in Clifton Hill, looked after fires, brought up clean hot water and removed dirty water four times a day, made beds, cleaned all the rooms, polished grates, candlesticks and furniture, brushed carpets, filled lamps and did the laundry. The work was endless as there was a continual battle against dirt from vermin, horse droppings and constant coal burning . Servants would have to mount the stairs many times a day from their quarters, not only when doing the housework or serving meals but when visitors came. Not only numbers of children per family were falling, the number of houses with any children in them was decreasing too. As more children survived into adolescence, more money was needed for their education, particularly as careers in the civil service or army were now only open to those who passed exams, and also the worry that one would be left childless in old age lessened. 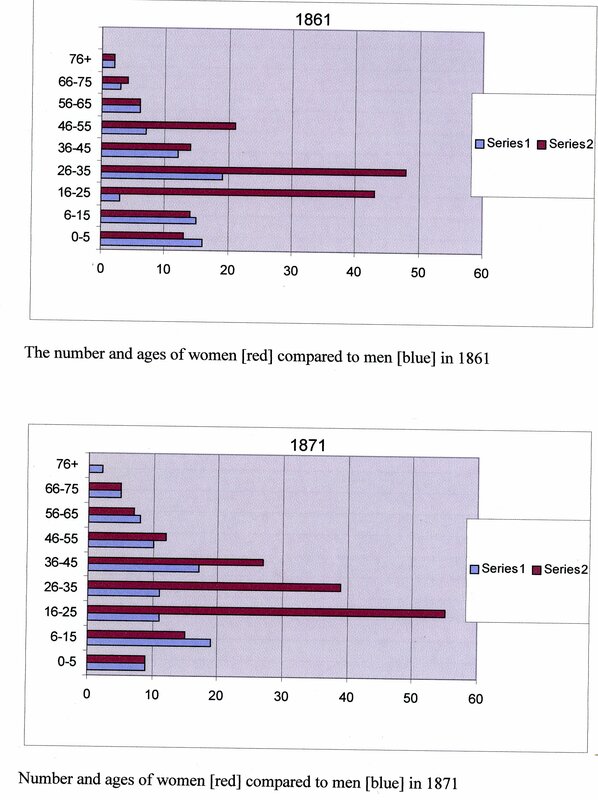 The increasing number of elderly people, too, meant that larger savings were needed for a longer old age. 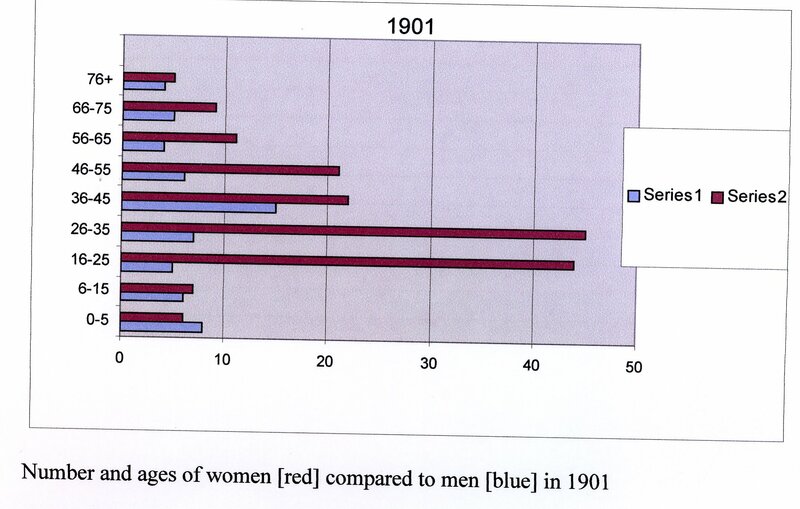 There were many more female relatives over 16 years old (daughter, sisters, nieces, mothers-in–law) living at home than there were males (sons, nephews, brothers), and all the young men from 1861 – 1901 were at work – the vast majority as clerks in the civil service or the City or learning to be lawyers or engineers. In 1901, 6 sons and 3 brothers. Nearly all of them were under 25, as older men would be likely to earn enough to be married and setting up their own home. Life was completely different for the women. Whether they had a job or not, (and very few of them did), if they were unmarried they had to live protected by relatives. 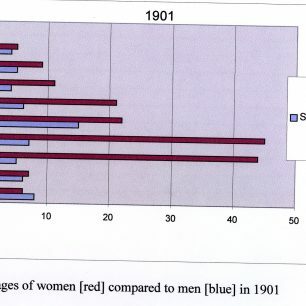 There were in fact very few suitable posts for middle class women at the start of the period, as to preserve their social position they could not enter domestic service, and the situation was not much improved by 1901. In 1861 there were: 11 daughters, 3 sisters, 2 nieces, 1 cousin, 1 daughter-in–law, 1 mother-in-law and 1 granddaughter living at home. Only 1 daughter appears to have worked, as a governess, and some of the others were “living on funds”, but, on the whole, a male relation, whether father or brother, was having to provide for them. In 1871 there were: 8 daughters, 5 sisters, 1 sister-in-law, I mother-in-law, 1 daughter–in-law and 1 cousin not working, and 2 nieces who had employment as clerks, showing that women were beginning to work in offices. In 1881 there were: 11 daughters and 8 sisters with no job, but 4 daughters and 3 sisters did work, the jobs including singer, governess, teacher and draper’s assistant. In 1891, 8 daughters, 11 nieces and sisters had no work, while 2 daughters worked as governesses and 3 sisters lived on their own means. In 1901, 13 daughters and 1 sister had no job but 3 daughters worked (2 as embroideresses) while 2 sisters worked in the Post Office. Some of these women were looking after widowed fathers or other male relations and so were busy at home but there must have been quite a few “superfluous” women to whom the invention of the typewriter and the expansion of offices which were a respectable place for women was a god-send. a letter to the Builder, in 1858, complained of ‘ugly stucco erections, which are a source of constant annoyance to the inhabitants, who have to wash or paint them every three or four years. In the 1851 census, London only had 4920 men and women recorded as of independent means or a house proprietor, but this is because they were willing to record other commercial work they had, whereas in Paris, where there was a prejudice against commerce, 46,000 were recorded as rentiers. For a while, starting in 1874, the line operated with two human tokens, one in a red cap and one in blue – the train had to have the correct person on the engine to run on the single line. To speed the working, as the trains arrived at St Johns Wood the men would jump off the engine and slide to a halt along, the platform, a source of great public entertainment. Architect, vol. xvi (1876) p. 86. This page was added on 20/04/2011.